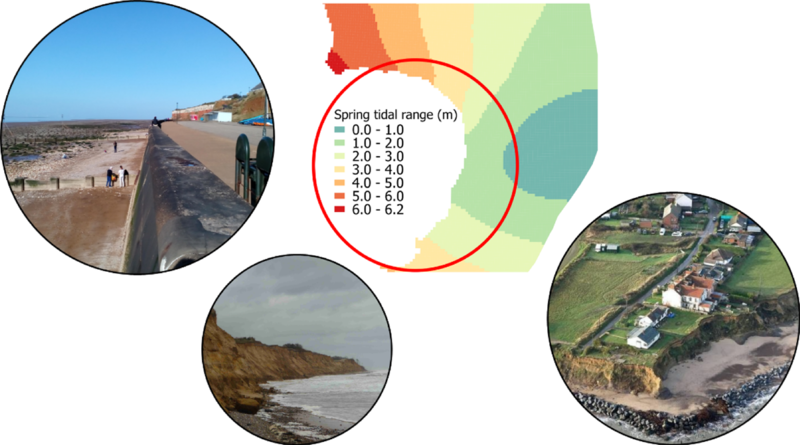 We are developing an integrated modelling tool that will be used to evaluate coastal resilience and scope alternative management options along managed coastlines with critical Energy infrastructure (SE England, Dungeness foreland & E England, Minsmere nature reserve). 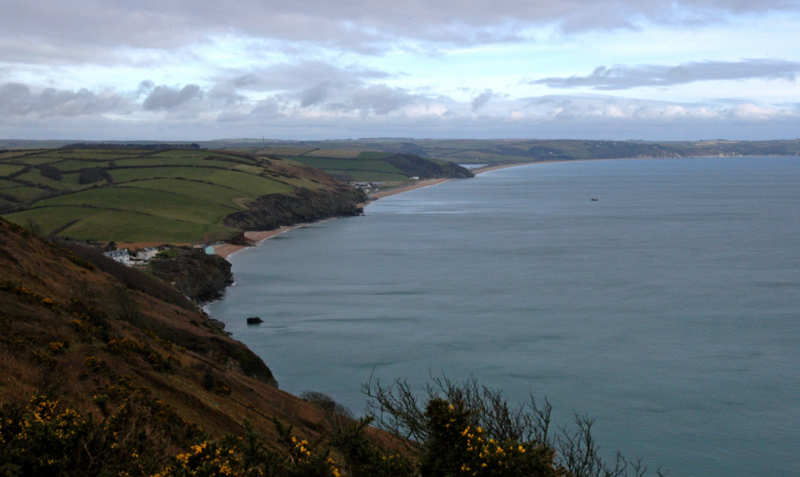 Perranporth and Slapton Sands are exposed high energy sites with sandy and gravelly coasts, and rocky headlands. 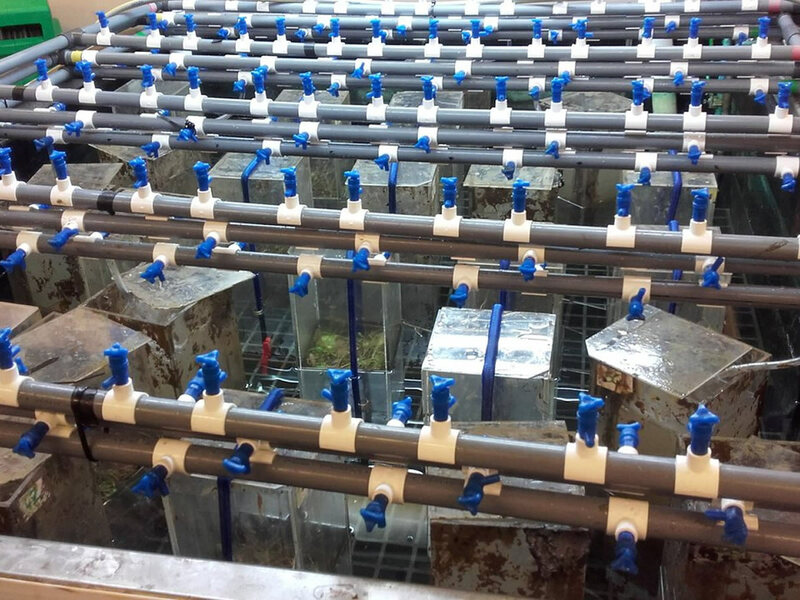 These will allow us to study cross-shore and along-shore sediment exchange while considering sediment that bypasses headlands. 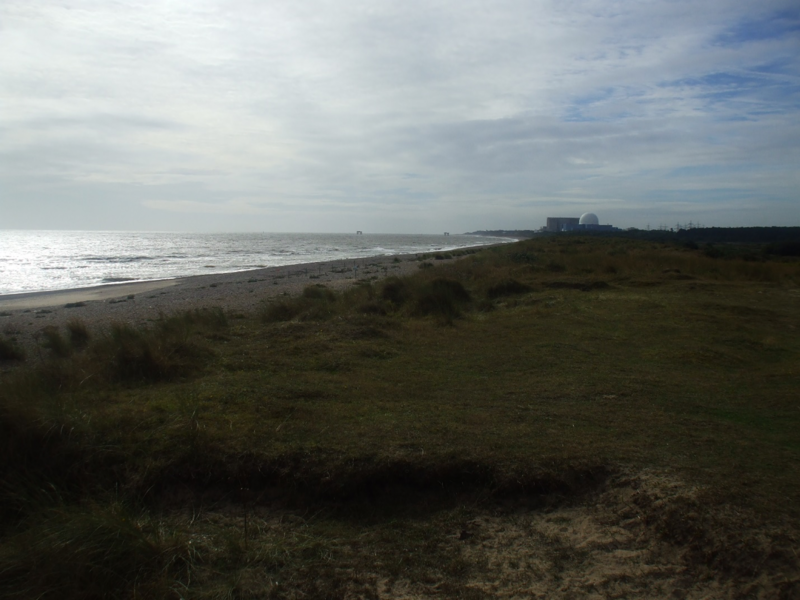 The Suffolk coast from Orford Ness to Hunstanton are partially-exposed to medium-wave energy conditions. This region of sand-shingle shorelines with soft rock cliffs and subtidal sediment sources will enable us to understand shoreline sensitivity to changing wave conditions, sea level and human impacts at a large scale. Finally, Morecambe Bay, the Blackwater estuary and Tillingham marsh are sites with mixed sand-mud conditions. We will find out how biotic factors in the ecosystem affect coastal change and stability. The research at these sites will lead to the development of an integrated model for evaluating resilience and scoping management options. 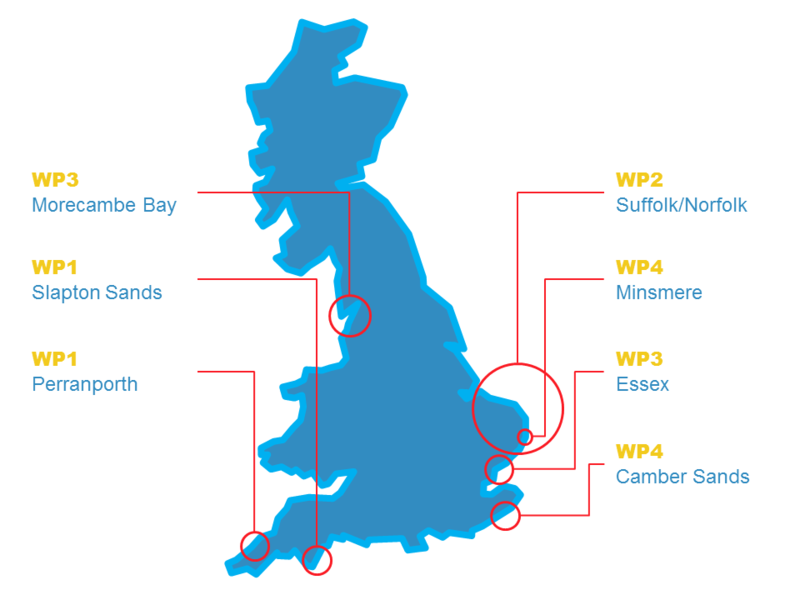 The model will be used to run scenarios for two high value sites; Minsmere and Camber Sands, where there is critical coastal energy infrastructure and sites of scientific special interest. 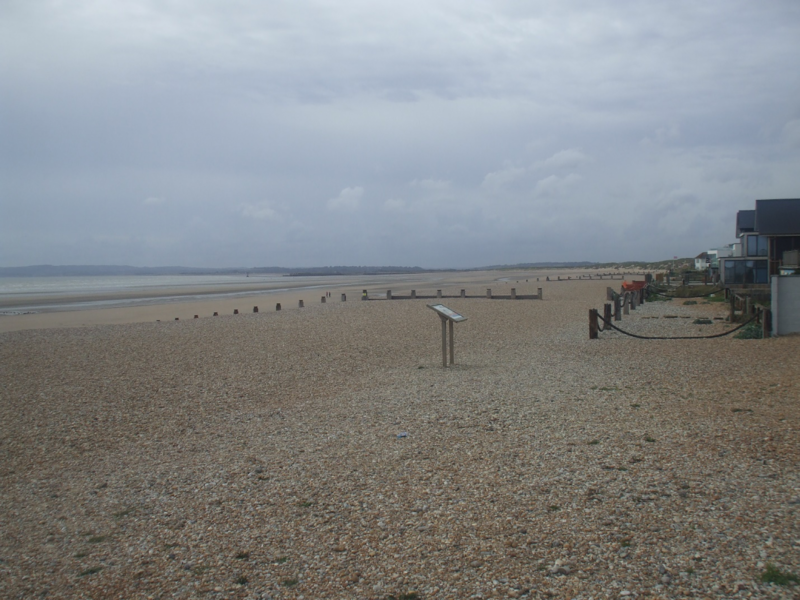 Camber sands is situated in the southeast of England at the southern shore of Dungeness foreland. This macrotidal location experiences an approximately 6.7 m semidiurnal tidal range. The location experiences a bimodal, bidirectional wave climate. The largest waves exceed 5 m significant wave height with approximately 18 s peak period and come from the southwest. During the 2013 storms a 1m skew surge occurred . The observed HW 5.10m ODN, 62cm above the highest predicted tide 4.48 m ODN. The beach towards the east at Camber Sands forms a composite sand and gravel beach, with a dune system towards the west. Coastal defences along the bay comprise a natural gravel barrier and earthen embankments supplemented with a seawall in areas of urban infrastructure. 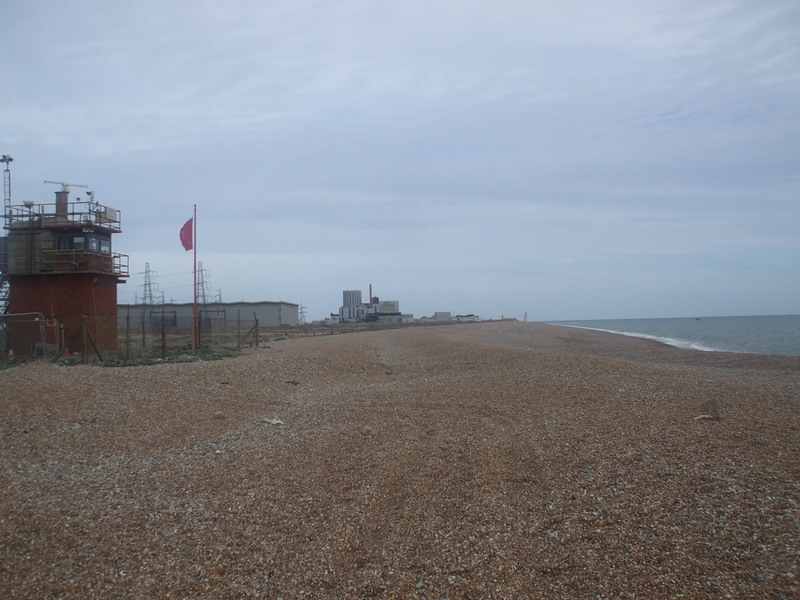 Since the 1960s periodic shingle recycling has been carried out to retain shingle along the frontage. Cartmel sands salt marsh is one of the Morecambe Bay marshes (northwest England). It is 3.2 km long and 1 km at its widest point and is bounded on its landward edge by a railway embankment, situated at the mouth of the Leven estuary. The embayment is hypertidal with a mean spring tidal range of 8.4 m at Morecambe. Although maximum ridal ranges in the estuaries of 9 m have been recorded. The wind field is strongly bimodal, with the dominant directions being NNE and SW. The greatest wave fetch is from the SW. 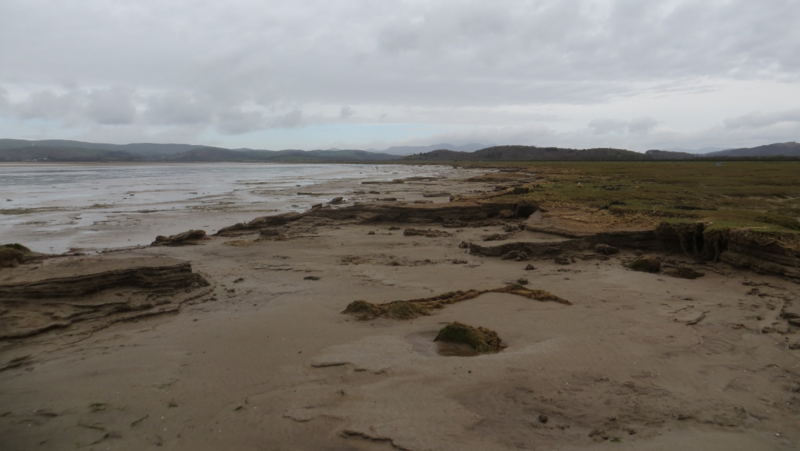 In 1957 - 1958, the Morecambe Bay Light Vessel recorded the most commonly occurring combination of wave period and significant height as 4.0-4.5 s and 0.5-1.5 m. The maximum recorded wave height was 5.9 m.
The marsh is underlain by fine sandy and compacted sediments and dissected by a dentritic creek system. 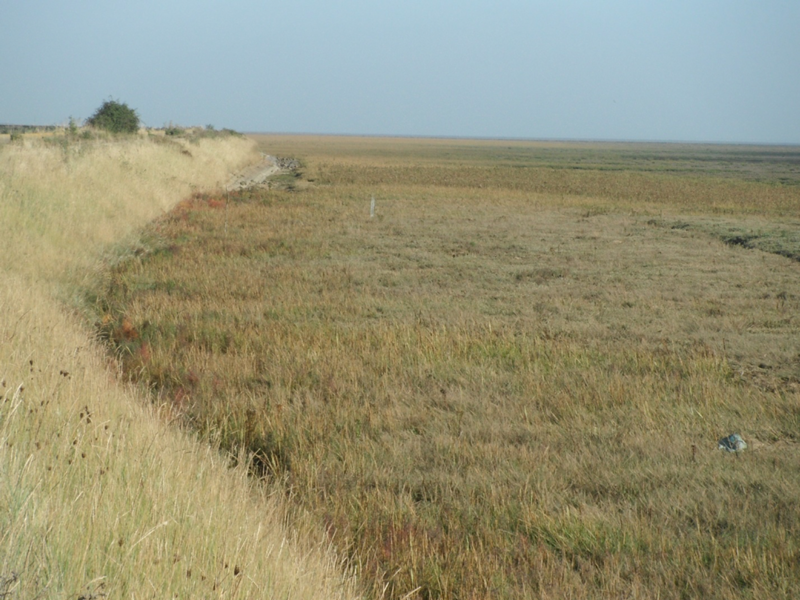 The marsh has eroded laterally in the past and subsequently expanded, creating two distinct areas of differing elevation, separated by a ~0.5 m cliff running parallel to the shore. 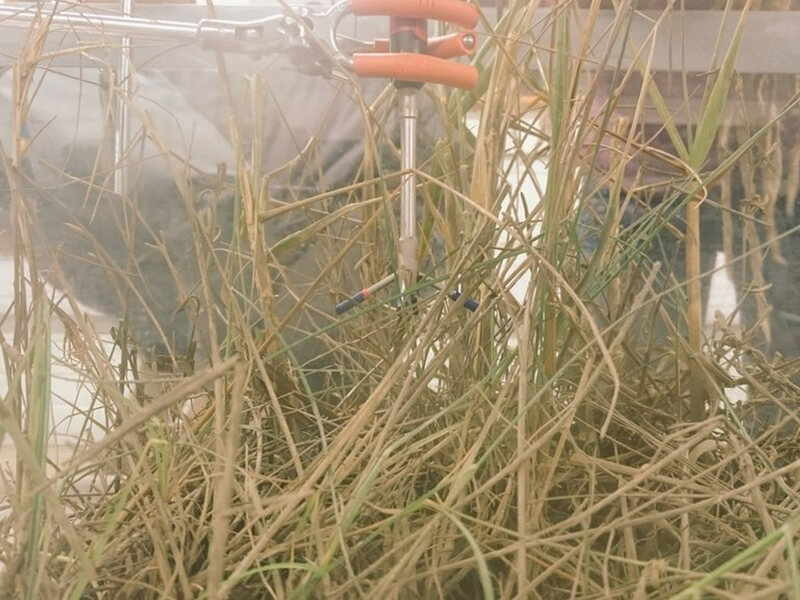 On the higher of the two areas the vegetation is dominated by a short turf of Red Fescue (Festuca rubra) saltmarsh (SM16) often in association with Saltmarsh Rush (Juncus gerardii) and characteristic of many of the salt marshes in Morecambe Bay. The front half of the marsh, between the cliff and adjacent sandflats, is dominated by a short, species poor turf of Salt Grass (Puccinellia) salt marsh (SM13) grading into the adjacent sand flats. The invertebrate fauna of is very similar to that of the other sites, being dominated by Pygospio elegans, Baltic Clam (Macoma Balthica), Laver Spire Shell (Peringia ulvae), Bathyporeia pilosa and a varying mix of Corophium arenarium and Corophium volutator. The predatory annelid Eteone longa was also found across this site. CM-SM is heavily grazed by sheep. Macro-tidal embayment with a 6.3 m mean spring range. The wave climate is unimodal with a dominant wave direction from W-WNW. Typical winter waves exceed 2 m significant wave height with peak wave periods in excess of 12 s. Extreme storm events (99% exceedance) wave heights and associated period are 6-7 m and 16-17 s, respectively. Beach sediment is characterised by an average D50 of 0.35 mm, but sediment size is temporally and spatially variable, and generally ranges between 0.25 mm to 0.5 mm. The beach dynamics are dominated by cross-shore surf zone driven sediment transport and shore-normal waves lead to significant loss of sediment offshore during storm conditions. Start Bay is a 12-km long embayment comprised of four interconnected, reflective gravel barrier beaches located on the south coast of Devon, SW England. A subtidal ‘banner’ bank, called Skerries, extends across half of the embayment and plays a major role in affecting wave transformation processes. 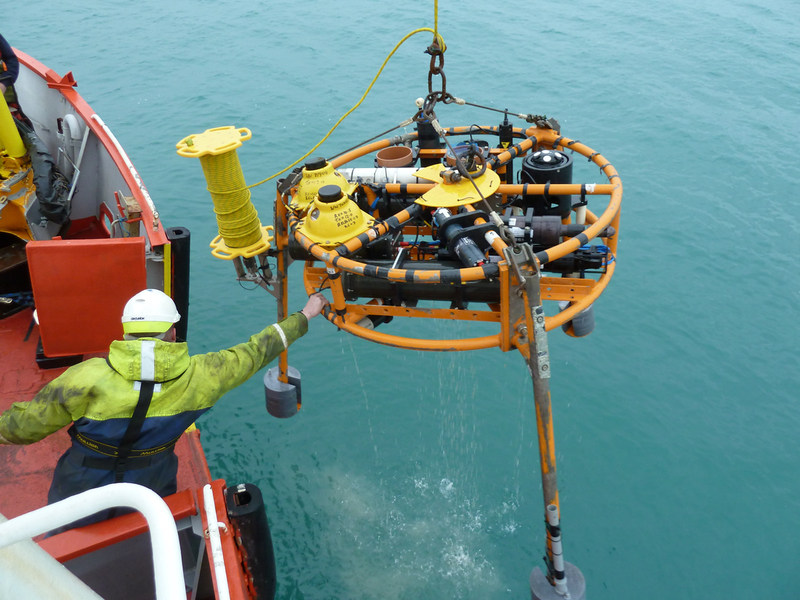 Macro-tidal conditions with a 4.3 m spring range. The wave climate is predominantly bi-directional, with waves from the southwest and the east. Typical winter storm waves have significant wave heights of reach 2–4 m and peak wave periods of 8–10 s for easterly storm waves and peak periods in excess of 10 s for southwesterly storm waves. 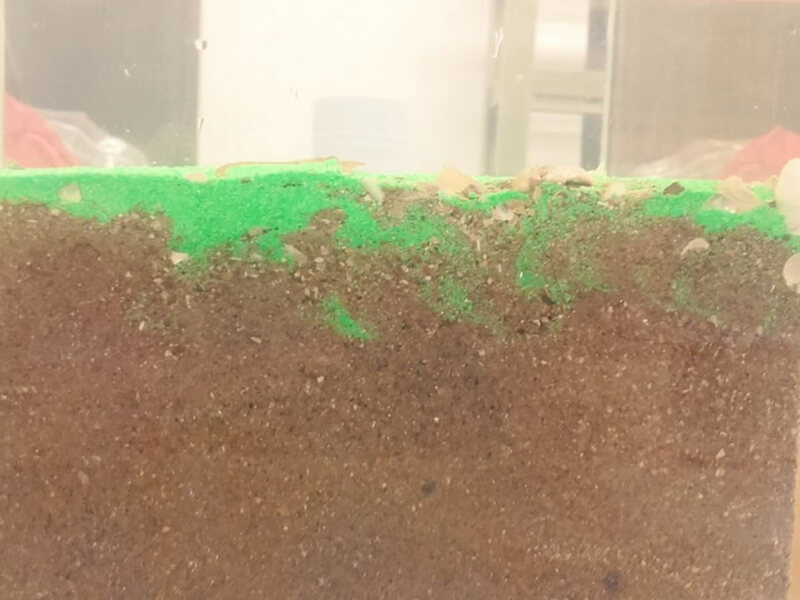 The sediment size is variable throughout the embayment, with the northern end being finer than the southern. D50 ranges from 2 to 10 mm and clasts are comprised mainly of flint. Sediment dynamics are dominated by alongshore transport. The embayment is considered a closed system, and the balance of incoming wave directions drives beach rotation on a variety of timescales. As a result, beach width and volume fluctuates at opposing locations. Shoreline management is a significant concern for local communities. 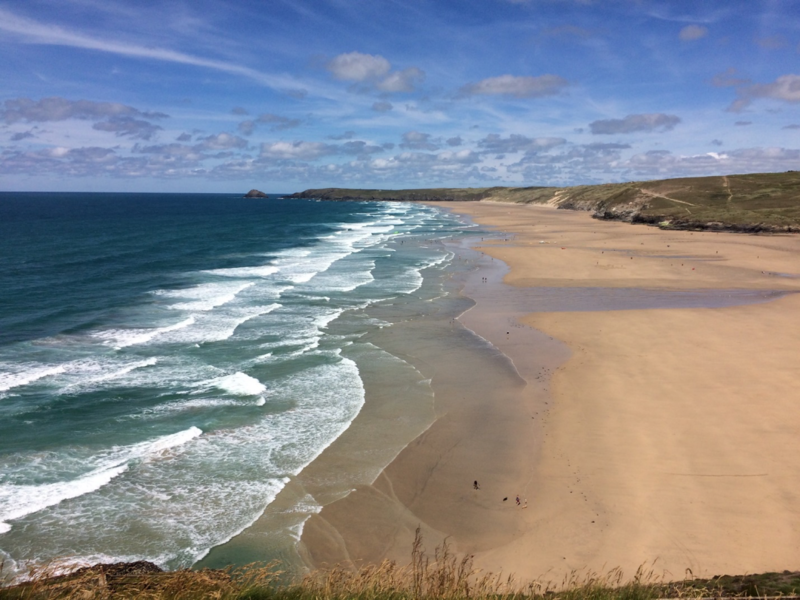 Tidal ranges varies from Micro to Macro tidal with spring tidal ranges from 1 to 6 m.
The wave conditions are bi-directional from NE & S. Typical winter waves reach 0.5 to 1.0 m with 7.0 s peak period. Coastline features alternate from non-vegetated cliffs with highly vegetated broads and low lands. One of the fastest eroding coastline in Europe with non-negligible human intervention. The site is classified as moderate energy the tides are just mesotidal with a 2 m spring range and the 76% of wave heights being less than 2 m.
The wave climate bimodal with dominant wave directions from the north to northeast and south to southwest. The largest waves are from the north to northwest, the fetch associated with longest fetch. Storm surges up to 1 m occur relatively frequently due to depressions moving slowly across the North Sea. Offshore the Dunwich and Sizewell banks play an important role in reducing wave energy that reaches the beach. 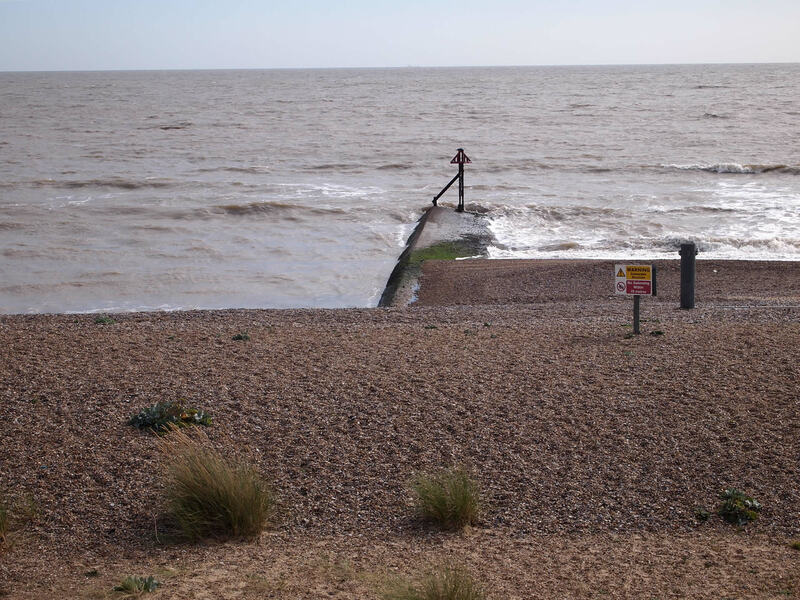 The sluice acts as a pivot point, separating an area of net erosion from an area of net accretion, causing an anticlockwise movement of the coastline. Between 1836 and 1903 the frontage north of the sluice eroded at about 1.1 m/yr, while the frontage to the south accreted at an average rate of 1.7 m/yr in the initial 50 years. In the last 50 years erosions rates have been lower than in the past. Tillingham is one of the Essex marshes (east England). 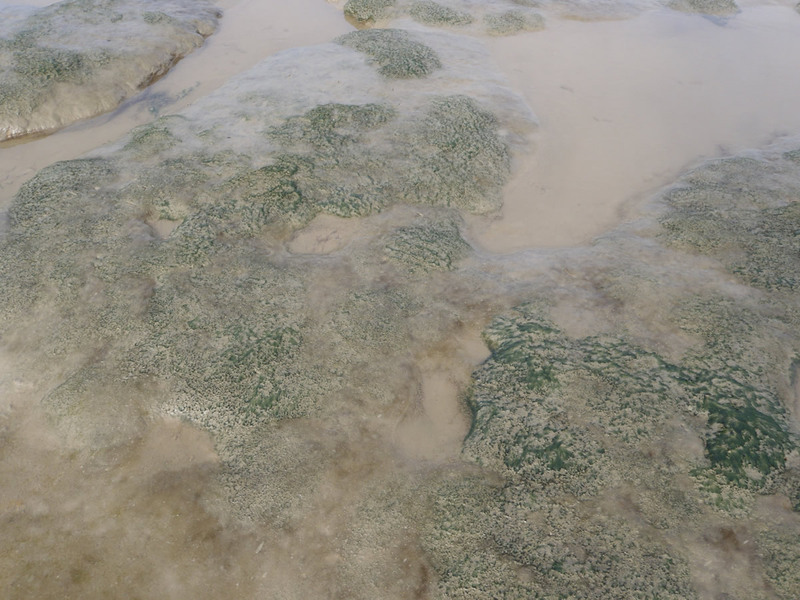 It is ~11 km in length and up to 1 km wide forming an extensive euhaline open coast marsh. The tidal conditions are macro tidal, with a mean spring tidal range of 4.80 m (at Bradwell Waterside). The mash is exposed to easterly winds and wave fetch (maximum fetch of 290 km at 060o from N). Offshore Wave measurements (at South Knock) for the period September 2006 to September 2008 showed an annual mean significant wave height (Hs) of 0.80 – 0.85 m with a maximum wave height of 4.61 m.
The benchmark storm surge event, of 31 January – 1 February 1953, generated maximum water levels of 4.60 m ODN (Southend-on-Sea). 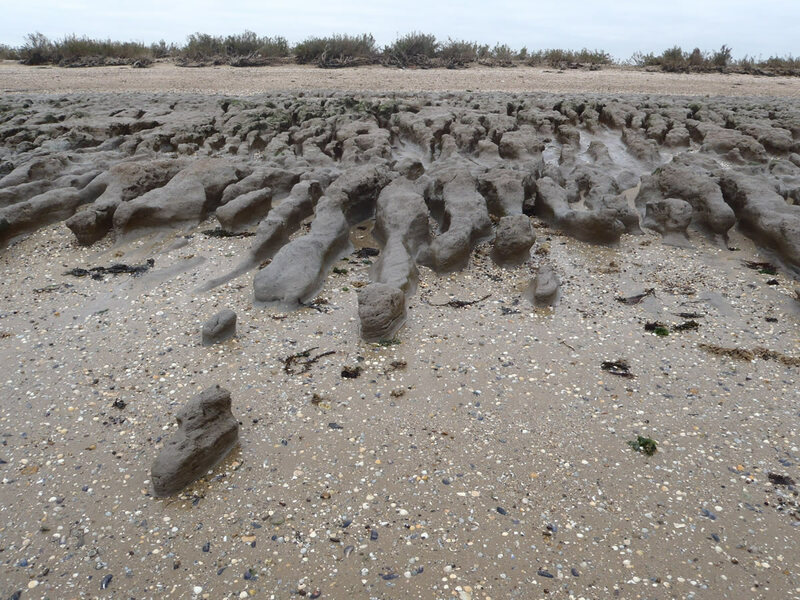 The marsh is dissected by shore-normal linear drainage channels (which extend into a mudflat ‘mud mound’ topography), with clay and organic sediments, and contains shore – parallel ridges – or ‘cheniers’ - of cockle shells. The saltmarsh plant community is dominated by Salt Grass (Puccinellia) and Saltbush (Atriplex) communities. The marsh is at the northern end of the Dengie Peninsula marshes. The marshes covered an area of 409 ha in 1998, having lost area at 2.7 ha a-1 over the preceding ten year period.